The No. 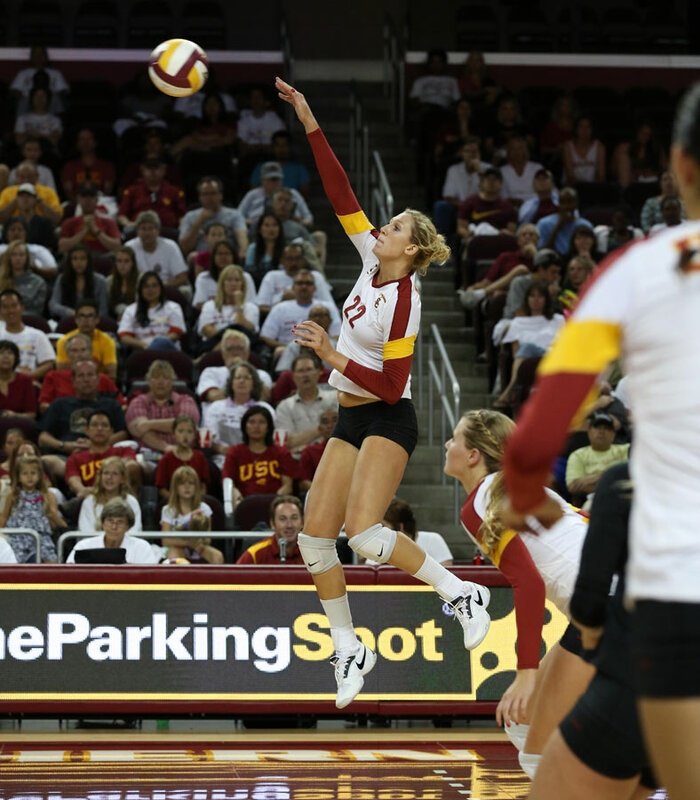 5 USC women’s volleyball team capped off a dominating performance to win the USC Classic this weekend, taking down Notre Dame in a three-set sweep on Saturday at the Galen Center. Senior opposite hitter Katie Fuller led the Women of Troy to victory with a career-high 21 kills. Named the tournament’s MVP, Fuller showed her prowess all night, whether she was playing defense in the back row or hitting in the front. She came up just one dig shy of her fourth double-double of the season, recording nine digs in the match. Facing set point at 22-24 in the first set, USC rallied behind two kills by freshman outside hitter Samantha Bricio and some strong net play by freshman Alicia Ogoms to secure a 26-24 win. The Women of Troy came out flat in the second set, falling behind 10-4 early. A block by Sara Shaw and strong serving by sophomore setter Hayley Crone knotted the match up at 11. Despite being down 15-19 late in the set, USC powered through with Fuller and Bricio, who anchored both ends of the floor. In the end, Fuller notched two kills to break the tie before the women of Troy won the set, 25-22. The Fuller show continued in the third and final set, as the captain continued dominating. Though the Irish came as close as 10-9, Bricio put together a string of three consecutive kills before a block by fellow freshman Ogoms stretched the lead to 18-13. Crone, who had 43 assists on the match — not to mention 12 digs — took the third set to get her middle hitters involved, especially junior Alexis Olgard, who ended the match with eight kills. The Women of Troy rounded out the tournament with three all-tournament selections, including Fuller, Bricio and junior libero Natalie Hagglund. Prior to their Saturday final against the Irish, the Women of Troy took down No. 17 San Diego (3-2) on Friday night in a five-set thriller. Playing against their SoCal rivals, coach Mick Haley’s group seemed to be just a bit off. Despite a subpar performance, the Women of Troy pulled through against a talented Toreros squad behind the play of Fuller, who not only had 17 kills but also set a career high with 18 digs on the night. Before USC played Notre Dame on Saturday, the Trojans first knocked off Cal Poly (0-3) in three straight sets that afternoon. 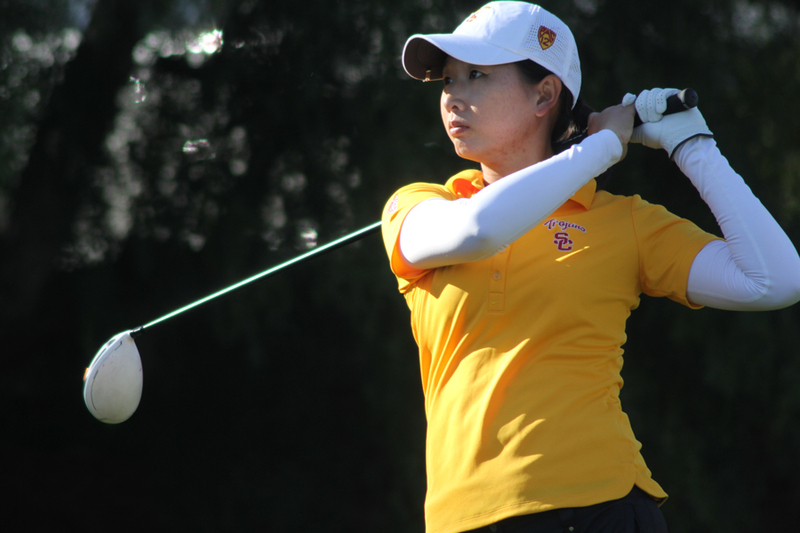 Led by Bricio and Ogoms, the Women of Troy easily took down the Mustangs to make the finals. Now 9-0, the Women of Troy have put together a great start to the season. Such momentum will benefit them greatly as Pac-12 play nears.